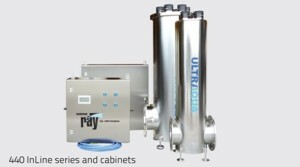 UV systems virtually eliminate microbiological contaminants without using potentially hazardous chemicals. Water enters through the bottom port of the ultraviolet generator cell and swirls around a low pressure mercury vapor lamp, which emits powerful ultraviolet light energy with a 235.7nm wavelength. 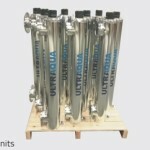 UltraAqua’s SS closed reactor series are built from high-grade AISI 316L steel and are suitable for most water disinfection applications. 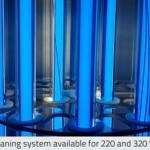 UV sensor and automatic mechanical cleaning systems are available. 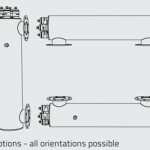 The three series 220 SS, 350 SS and 440 SS and the Önorm MR16-350 SS cover a large variety of flows and doses. 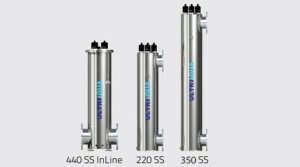 ULTRAAQUA’s ACN Series is parallel to its SS and PP Series. 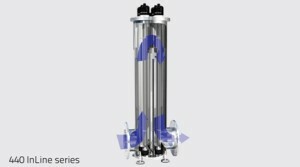 It has been designed for high turbidity water applications. A more compact design reduces the distance between lamps and eliminates “dark areas” resulting from low UVT.